1. It has been raining a lot here in Asheville…and I love it! Whenever it rains I feel like it’s a free pass to just relax and be a bit lazy. I love opening up all our windows and listening to the rain beat on our metal roof. All that rain also means I don’t have to water the garden as often. Boom. 2. Speaking of our garden: It is growing! I will do a full post on the process soon. This is my first garden ever! I helped my parents as a little kid, but that mainly meant tossing beans into a paper grocery bag. It is so exciting to see things grow, and SO sad when they don’t! 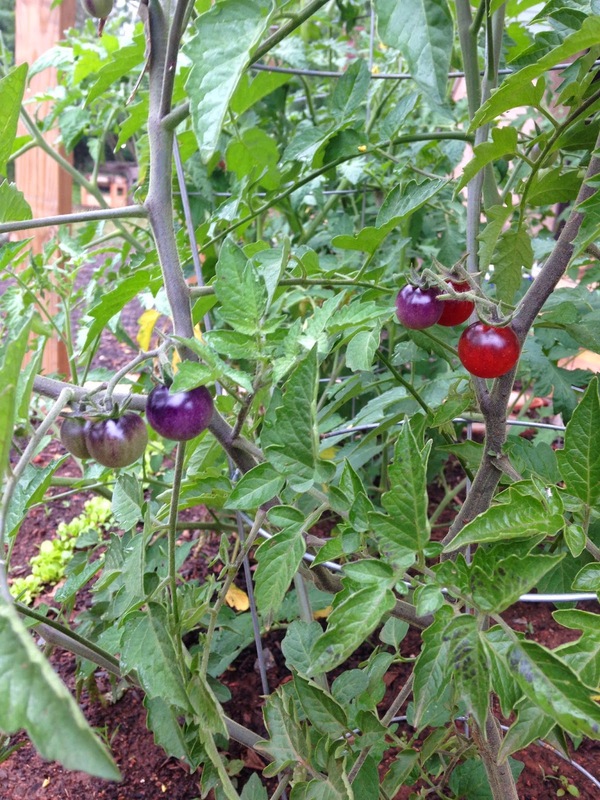 We have already eaten some greens and arugula and I am dying to try one of our tomatoes. There are about 30 little tiny purple guys about to pop! We also have butter lettuce and cucumbers coming along nicely. Our squash and spinach look pretty pathetic and all but one of our kale plants is officially dead. 3. My mom was in town this week! We basically relaxed on the couch every night with take out and beer and it was glorious. AND I get to see her, my dad, my sister and Louisa again at the end of this month. I love living where they vacation. Pretty convenient. 4. While Ads (my mom) was here I decided to tag along to the 60th reunion of the summer camp we both attended as kiddos. Holy nostalgia. I spent 2 weeks there every summer growing up and loved it. I also spotted myself in the 40th reunion photo in their museum. Love Louisa's face in that last pic! She is such a cutie! Louisa is the cutest thing I have ever seen!